Hurst & Co., 9781849049603, 320pp. In a world dominated by the British Empire, and at a time when many Europeans considered black people inferior, Sierra Leonean writer A. B. C. Merriman-Labor claimed his right to describe the world as he found it. He looked at the Empire's great capital and laughed. In this first biography of Merriman-Labor, Danell Jones describes the tragic spiral that pulled him down the social ladder from writer and barrister to munitions worker, from witty observer of the social order to patient in a state-run hospital for the poor. In restoring this extraordinary man to the pantheon of African observers of colonialism, she opens a window onto racial attitudes in Edwardian London. 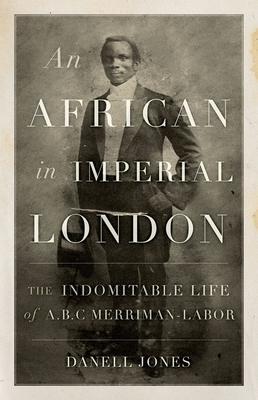 An African in Imperial London is a rich portrait of a great metropolis, writhing its way into a new century of appalling social inequity, world-transforming inventions, and unprecedented demands for civil rights. Danell Jones is a writer and scholar whose works have appeared in a wide variety of publications, from British academic journals to small presses. She has a PhD in literature from Columbia University and is the author of The Virginia Woolf Writers' Workshop and Desert Elegy.